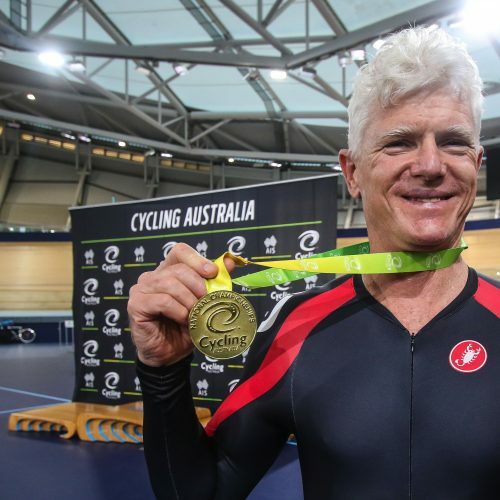 It was a lightning fast opening day of the 2019 Cycling Australia Masters Track National Championships with a new world’s best time and three Australian record times set in the time trials. New South Wales rider Gary Mandy set a world’s best time in the master’s men 7 event on his maiden ride around the 2018 Commonwealth Games Track. “This is my first time riding on the Anna Meares Velodrome, I have been loving the atmosphere, and am thrilled to have set a new world’s best time on the first day of Track Nationals,” said Mandy. Chris Murray (NSW) took the top step of the podium in the masters 5 while his teammate David Willmott won the masters 8 category, with both setting new Australian record times. The third new Australian record time set for the day was by Western Australia’s John Dixon in the masters 9 category. Dixon broke the 40-second barrier for his time trial, with over one second between himself and Queensland rival Ron Hickson who won silver. Daniel Rickard (ACT) broke a championship record time in the masters men 4. New South Wales’ Sherrie-Ann Prossalentis (NSW) and Amber Walsh (NSW) won the women’s team sprint, while the Queensland trio Nathan Sander, Luke Van Maanenberg and Samuel Hoskins took the men’s title. Earlier this year Tess Martin-Wallace cheered on her daughter in the scratch race for a silver medal at the Tissot UCI Track Cycling World Cup in Hong Kong. On Sunday in Brisbane, Alexandra Martin-Wallace cheered on her Mum to gold at the 2019 Masters Track National Championships. Despite spending plenty of time watching track cycling after taking her daughter to racing and training over the years, Tess had never stepped onto the track to give track cycling a go until 2018! 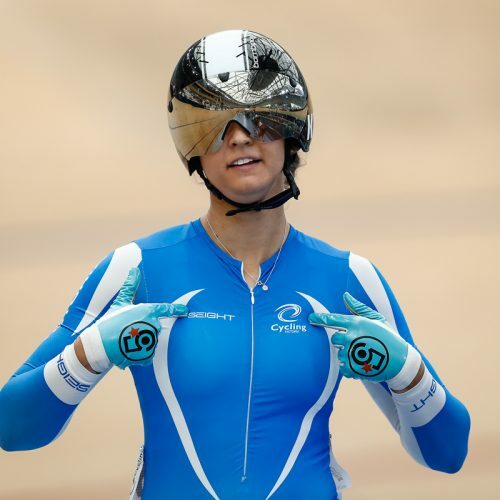 “About three months after the Commonwealth Games, I started track cycling through the Women on Track Program that was run by Cycling Queensland,” said Tess. “It has been great fun doing track cycling, it is very addictive, I have really enjoyed learning to ride, and now learning to race on the track.